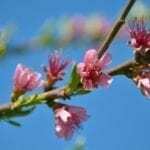 Stay a step ahead of nectarine pests without drenching your trees in toxic chemicals. How? 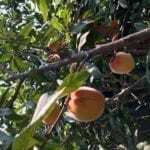 This article explains when to spray nectarines, and offers some advice on the least toxic options when it comes time to do so. Read on to learn more. The first spray of the season is in early spring, before the buds begin to swell. 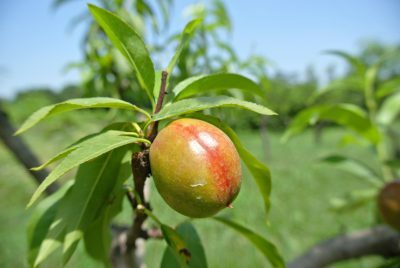 There are two fruit tree sprays for nectarines that should be used when temperatures are between 45 and 55 degrees Fahrenheit. (7-12 C.). Use a copper-based fungicide to prevent powdery mildew, bacterial blight, and leaf curl. 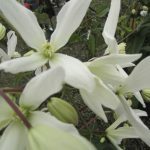 Use superior petroleum horticultural oils to kill overwintering scales, mitesand aphids. When the buds swell and show color, but before they open, it’s time to spray for caterpillarsand twig borers with spinosad. At the same time, you should spray for aphids, scale, stink bugs, lygus bugs and coryneum blight. Insecticidal soap is a good insecticide that manages all of these pests. You can also use an insecticide containing the active ingredients esfenvalerate or imidacloprid. The next growth stage is bloom time. Avoid spraying insecticides to preserve and protect honeybees. When the petals drop away leaving a small fruit behind, it’s time to think about aphids and stinkbugs again. Spray as you did at bud swell. If you have feeding caterpillars, spray them with Bacillus thuringiensis or spinosid. In the warm days of summer, you may have problems with peach tree borer. Esfenvalerate is the least toxic option for this pest. For spotted winged drosophila, spray with spinosid. 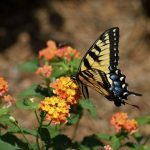 Even though these are relatively safe insecticides, you should take precautions when using them. Spray on calm days to prevent the sprays from drifting into the garden where you are trying to encourage beneficial insects. Keep children and pets indoors while you spray, and wear the protective clothing recommended on the product label. Store insecticides in the original container and out of the reach of children.